Potassium iodine tablets may be necessary in the event of a radiation emergency. 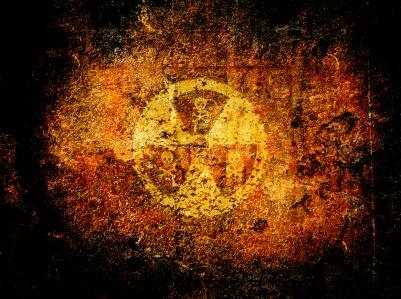 Due to radiation fears, the use of iodine for radiation exposure has become a topic of interest - both in the United States and the rest of the world. Iodine is an element that is vital to the formation of thyroid hormones in humans. Radioactive iodine is a product of uranium fission, which is the splitting of the uranium atom into smaller atoms. In some nuclear reactions, one of the radioactive atoms that may be created is iodine. After a nuclear event or accident, this radioactive iodine can be released into the atmosphere and enter the food and water supply. Radioactive iodine is more unstable than non-radioactive iodine. Do You Need to Take Iodine Supplements? We typically ingest iodine from our diets; however, when radioactive iodine has been released from a nuclear power plant, this version gets ingested or inhaled. When the radioactive iodine gets into the body (a process known as internal contamination), the radioactive element goes to the thyroid gland and can cause injury or thyroid cancer. Early in March 2011, an earthquake of 8.9 magnitude hit Japan, which caused damage to several nuclear reactors in the country. Scientists were concerned that radiation levels and the amount of radioactive iodine around these damaged plants would become high enough to cause health risks. People who are exposed to the radiation are at risk of developing cancers--including thyroid cancer--over the long-term, just like people who were exposed to radiation after the Chernobyl nuclear accident in 1986. If a nuclear accident occurs in your neighborhood, how can you avoid some of these complications? Your body needs to take in iodine every day in order to continue to make thyroid hormones. One way to prevent the unstable iodine from being absorbed by the thyroid is by taking potassium iodine tablets. Potassium iodine tablets (which are also called KI) contain a stable form of iodine. Once you take the potassium iodine for radiation exposure, your thyroid will absorb the stable iodine and be unable to absorb any of the unstable variety for the next 24 hours. Most forms of table salt contain stable iodine but not enough to act as a substitute for potassium iodine tablets. Do not use table salt as a substitute treatment for exposure to radiation. What Are the Limitations of Potassium Iodine Tablets? The effectiveness of these tablets also depends on the amount of time between the radiation contamination and the ingestion of the KI tablets–meaning the faster you take the tablets, the more protection you get. The amount of radiation that you have been exposed to and how fast your body absorbs the potassium iodine also affects the efficacy of the medication. Both breast-fed and formula-fed infants are at high risk from the unstable iodine. Both need to take KI medication. Children up to 18 years of age are at high risk of thyroid damage and cancer in the future and will need to be treated. Pregnant and breastfeeding women should take one dose of KI if they have been contaminated or at risk of contamination. Women should switch their infants to formula if possible if they have been contaminated. Adults over the age of 40 are at the lowest risk for thyroid injury so this population should only take KI is a large amount of radioactive iodine is expected. People with previous thyroid injury or problems are at high risk for further problems. You have just heard on the news that there has been a nuclear incident in your area–does that mean that you should take KI tablets? Your local emergency or public health officials will alert the public if these tablets need to be taken. They will also let you know about any foods or drinks that you should avoid until the levels of radiation have been determined. You should not take potassium iodine for radiation exposure on your own because there are side effects that may be serious. Potassium iodine comes in either tablet or liquid form. The tablets come in two different sizes–130 mg and 65 mg–and these tablets are scored so that smaller doses can easily be given if needed. Each milliliter of the liquid contains 65 mg of KI. Newborns from birth to 1 month of age should receive 16 mg which is one-quarter of one 65 mg tablet or one-quarter mL of the solution. This is the same for both nursing and formula-fed infants. Infants and children between 1 month and 3 years of age should take 32 mg of KI, the same for both nursing and formula-fed infants. Children between 3 and 18 years of age should take 65 mg of KI. If the child is larger than 150 lbs, he or she should take the adult dose. How Often Do I Take Potassium Iodine? One dose of KI offers protection for the thyroid for 24 hours. This should be sufficient for most situations. However, if the radioactive materials are present in the environment for longer periods of time, you may have to take doses for several days; your public health officials will tell you if that is the case. Pregnant women and newborns should not repeat doses and may need to leave the contaminated area until the radiation levels are lower, if possible. Your risk of side effects may be higher if you take higher amounts of KI, if you take the medication for several days, or if you have prior thyroid disease. Newborns may develop hypothyroidism if they take more than one dose of KI. This condition can lead to brain damage and other health problems. Newborns should have their thyroid levels checked by a doctor after taking KI. Where Can You Get Potassium Iodine? Potassium iodine does not require a prescription but your pharmacist can offer assistance with the different brands that may be available. Taking potassium iodine for radiation exposure can protect you from thyroid damage but remember to follow your local public health officials' recommendations.